Posted by stgeorgeoma in Armed Forces, Armed Services, Eastern Orthodox, Memorial, Military, Networking, News, Orthodox, Podcast, Religion, Religious, SGOMA News, Uncategorized. In this episode of SGOMA’s Podcast series “Orthodox Christians on the Front Lines” Father Stephan Close reflects on his time as an active duty Orthodox Chaplain serving in the United States Air Force. Fr. Stephan reflects on the many military members that he came across during his most recent assignment at Ramstein Air Base in Germany. Posted by stgeorgeoma in Armed Forces, Armed Services, Eastern Orthodox, Military, Networking, News, Orthodox, Religion, Religious, Saints, SGOMA News, Uncategorized. There are martyrdoms more precious than precious. The preciousness of martyrdom depends upon the greatness of the good which a Christian abandons and in lieu of that, accepts suffering; and still, it depends upon the greatness of the suffering which he endures for Christ’s sake. St. Theodore, a Roman commander in the army of Emperor Licinius and mayor of the town of Heraclea, scorned his youth, handsome appearance, military rank and the good graces of the emperor. In place of all that, he accepted horrible tortures for the sake of Christ. At first, Theodore was flogged and received six-hundred lashes on his stomach. After this, he was raised on a cross and was completely pierced with lances. Finally, Theodore was beheaded. Why all of this? Because, St. Theodore loved Christ the Lord above all else in the world. He abhorred the stupid idolatry of the superstitious Emperor Licinius. He smashed the idols of silver and gold and distributed pieces of them to the poor. He converted many to the Faith of Christ and called upon Emperor Licinius himself to reject idolatry and to believe in the One Living God. During the entire time of his tortures, St. Theodore said repeatedly: “Glory to You my God, glory to You! 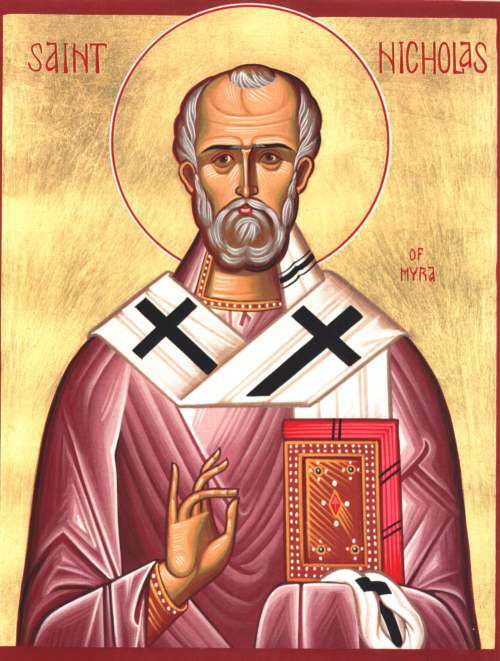 St. Theodore suffered on February 8, 319 A.D., at 3:00 p.m. and entered into the kingdom of Christ. 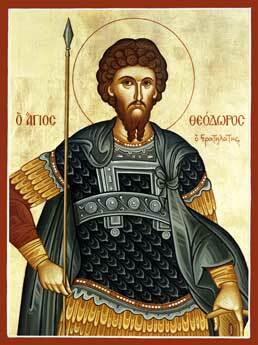 St. Theodore is considered the Protector of Soldiers who call upon him for assistance. His miracle-working relics were translated from Euchaita to Constantinople and interred in the church of Balchernae. During the reign of Emperor Maximian there was a great persecution of Christians. In the Syrian town of Apamsea, Maurice was superior of the local army. The pagans reported him to the emperor as being a Christian and a sower of the Christian Faith among the soldiers. The emperor himself came and conducted an investigation. Along with Maurice seventy Christian soldiers were also brought before the emperor among whom was Photinus, the son of Maurice. Neither the emperor’s flattery nor threats could sway these heroes. To the threats of the emperor, they replied: “O Emperor, there is no fear in the sound and powerful souls of those who love the Lord!” When the emperor ordered and removed their military belts and garments, they said to him: “Our God will clothe us with incorruptible garments and belts and eternal glory!” When the emperor rebuked them because they despised the military honor given to them by him, they replied: “Your honor is without honor, for you have forgotten God Who gave you imperial authority!” Then the emperor commanded and the executioner beheaded Maurice’s son Photinus before his eyes to instill fear in the father and in the others. But, Maurice said: “You have fulfilled our wish O torturer and have sent Photinus, the soldier of Christ before us.” Then the emperor sentenced them to a most inhuman death: they were brought to a muddy place, stripped, bound to trees and rubbed them with honey, in order to be bitten by mosquitoes, wasps and hornets. After ten days under the most painful sufferings, they gave up their souls to God and departed to rejoice eternally with the holy angels in heaven. Christians secretly removed their bodies and honorably buried them. These courageous soldiers of Christ suffered about the year 305 A.D.
Oh Holy Orthodox Saints pray for our Troops! Posted by stgeorgeoma in Armed Forces, Armed Services, Eastern Orthodox, Memorial, Military, Networking, News, Orthodox, Religion, Religious, SGOMA News, Uncategorized. Today the Saint George Orthodox Military Association, along with the parishioners of Holy Trinity Chapel remembered, during the Divine Liturgy at Fort Bliss, the one year anniversary marking the blessed repose of Specialist Robert Donevski, of Sun City, Arizona. Specialist Donevski was killed in the line of duty in Abad, Afghanistan on January 16th, 2010. Please keep Specialist Donevski and his family in your prayer this day. Memory Eternal! Вечна меморија! Spc. Robert Donevski, 19, died Saturday, January 16th, 2010 from wounds he suffered when insurgents attacked his unit with small-arms fire in Abad, in the Korengal Valley of Afghanistan. He was assigned to the 2nd Battalion, 12th Infantry Regiment, 4th Brigade Combat Team, 4th Infantry Division. Robert joined the Army in July 2008 and was deployed to Afghanistan in June 2009 from Fort Carson, Colo. He is survived by his parents, Linda and Ganko, and brother, Chris. Robert died doing exactly that he wanted to do, his parents said. He wanted to be in the Army since he was 5 years old, they said, showing a picture of a young Robert saluting a flag as a boy. “He loved his country and wanted to protect it,” Linda said. “He loved his friends,” Ganko, said. “And he loved the state of Arizona. He said it was the best state. He had been to Georgia, and Germany and came home and said this was the best place in the world.” “And he loved America, he loved his country,” he said. Ganko, who was born in Bulgaria, told him that he had served in Vietnam, so Robert shouldn’t feel he needed to serve in the military, as well. Robert remained determined. Robert’s body was returned to Arizona on military flights, escorted by members of his detachment. The Army honored Robert with several medals, including the Purple Heart. The Funeral was held at St. George Orthodox Church in Phoenix, Arizona, and Robert was buried in the National Cemetery in Phoenix with full military honors. The Saint George Orthodox Military Association would like to wish you and your loved ones a very safe, prosperous and blessed New Year! As SGOMA enters this new year we will be working on expanding our Ancient Faith Podcasts to include new episodes from our various Orthodox Chaplains and Orthodox Military Members stationed around the World. SGOMA is also ramping up our Great Lent Survival Packages. 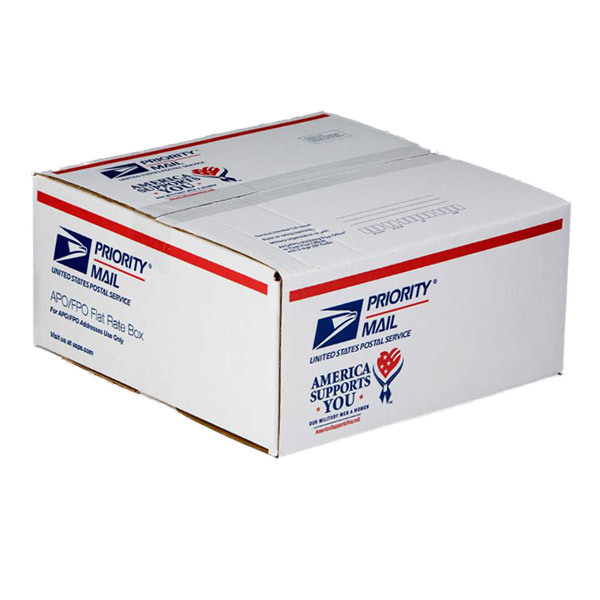 If you know of someone who is deployed or will be deployed, in Iraq or Afghanistan, over Great Lent and Pascha please send us their mailing address and SGOMA will put together a survival package and send it to them. If you would like to sponsor a Great Lent Survival Package for someone you know, or for any Orthodox Military Member deployed in Iraq or Afghanistan, you can send us a donation for the package. The general donation is $50.00, this includes the cost of the contents and shipping ($12.50 – APO Priority Mail). SGOMA is also in the process of trying acquire MP3 players to ship off to our Military folks. These MP3 players will include Divine Liturgies (Slavic, Greek and Western Rite), Interviews, Stories and much more. Keep tuned to SGOMA’s Facebook page as well as this Blog site for more details about this new ministry outreach in the near future. Again, we would like to wish everyone a very Happy New Year – 2011! Please continue to keep our Men and Women in the US Armed Forces in your prayers! Posted by stgeorgeoma in Armed Forces, Armed Services, Eastern Orthodox, Military, Networking, News, Orthodox, Religion, Religious, SGOMA News, Uncategorized. In 2010, there were 62 new posts, not bad for the first year! There were 113 pictures uploaded, taking up a total of 27mb. That’s about 2 pictures per week. The busiest day of the year was November 11th with 416 views. 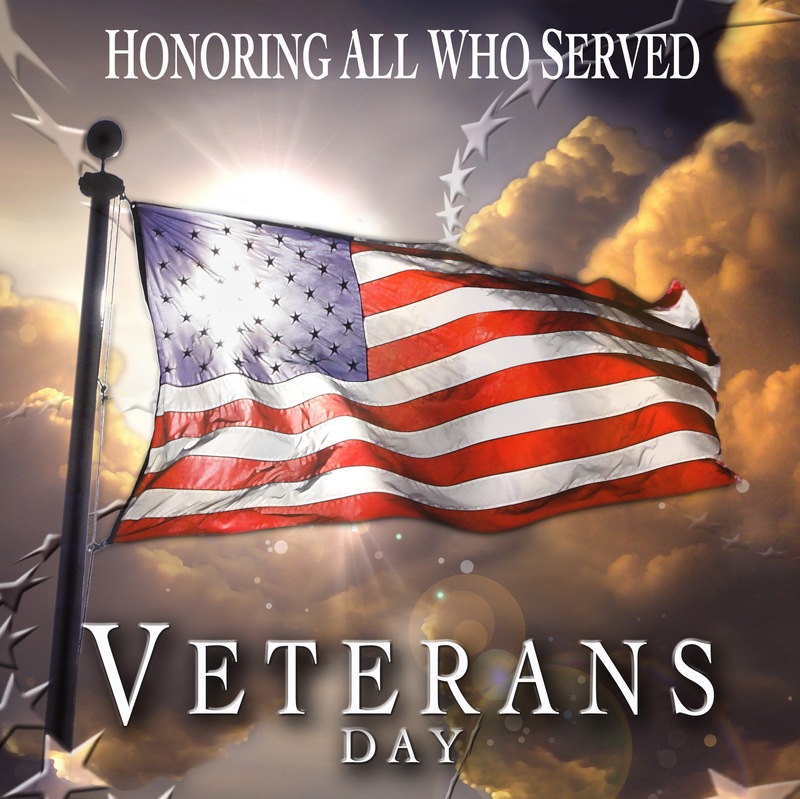 The most popular post that day was Veteran’s Day Freebies & Discounts. The top referring sites in 2010 were facebook.com, ad-orientem.blogspot.com, orthodoxmilitary.org, mail.yahoo.com, and conversiaddominum.blogspot.com. Some visitors came searching, mostly for veterans day, canadian military, veterans day 2010, canadian forces, and memorial day prayer service. 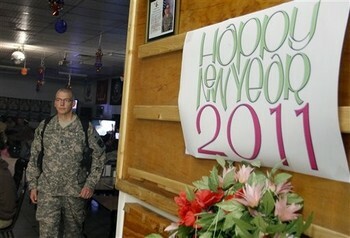 Private First Class Serge Kropov, of Hawley, Pa., was killed Sunday, Dec. 20, 2009, in Bastion, Afghanistan. Born July 28, 1988, in Moscow, Russia, he was a son of Igor and Allison (Alevtina) Kropov. He was a military career man who served in the U.S. Marine Corps. He served in the military Tour of Iraq and the military Tour of Afghanistan. 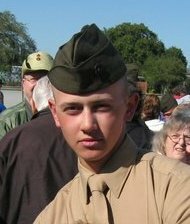 Kropov was assigned to a Marine aircraft group based at Marine Corps Air Station Miramar, which is near San Diego, California. He was preceded in death by his paternal grandparents, Sergey and Nina Kropov; and his maternal grandparents, Anna and Vladimir Patrusheva. Surviving, in addition to his parents, is his sister, Anna Kropov. Funeral Services with full military honors were held at the Monastery Church of St. Tikhon of Zadonsk, South Canaan, PA, with His Grace, Bishop Tikhon, officiating. Interment followed in the Monastery Cemetery. Memorial contributions may be made to St. Tikhon’s Orthodox Monastery. 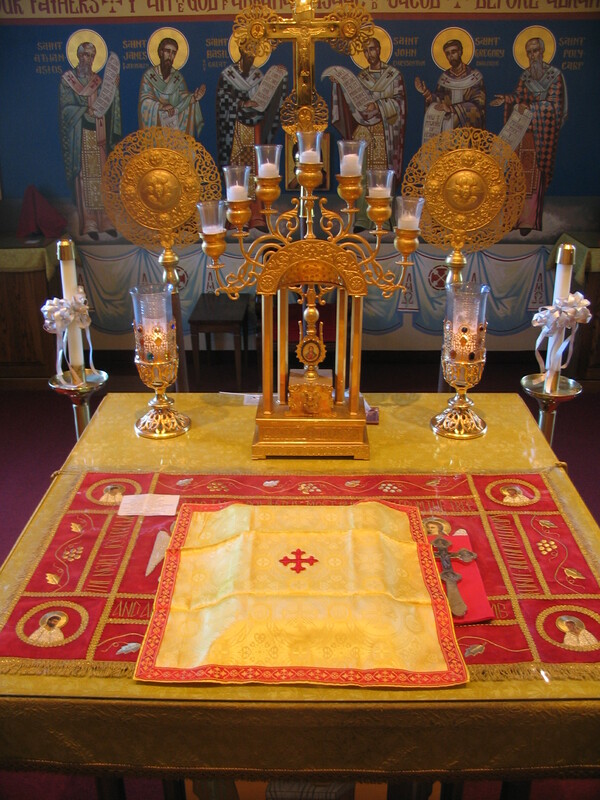 On Saturday, 6 November 2010, CFB/ASU Wainwright’s Chapel was the site of the first (in over 50 years) Orthodox Divine Liturgy to be conducted by an active duty regular force Canadian Forces Chaplain who is an Orthodox Priest. Captain (Father) Charles Baxter, one of the Base Chaplains at CFB/ASU Wainwright, served the Divine Liturgy with the assistance of Father John Lipinsky and the Ukrainian Orthodox Church of Canada’s (UOCC) Bonnyville Alberta District’s faithful and choir. Following the Divine Liturgy, a brief Memorial Service was held to honour the fallen service members who gave their lives in defence of Canada. Padre Baxter began his military service with Basic Officer Training at CFB Borden in September 2009. After a rigorous and challenging course that ended with graduation in mid-December, he was posted to CFB/ASU Wainwright where he serves as one of the Base Chaplains. On the Sundays when he is not serving in the CFB Wainwright Chapel, Padre Baxter assists the nearby UOCC parish communities in St. Paul, Bonnyville, Camrose and elsewhere in Alberta. Padre Baxter is also assisting the UOCC’s ongoing rural parish projects. This includes locating prairie Orthodox church buildings that are not on the diocesean registy. Many of these buildings have not been used for services for many years. Some may, with the support and help of local communities and families, remain in good repair. Padre Baxter works with his eparchial Bishop in Edmonton in support of the church’s effort to locate and to reach out to these forgotten prairie churches. The Canadian Forces Chaplains (also known as “Padres”) come from a wide variety of faith traditions and backgrounds from all across the country. All major Christian denominations now have active duty full-time regular force Chaplains to meet their spiritual needs. The chaplain exercises a specialized ministry within the Canadian Forces, aimed at promoting religious, spiritual, moral and ethical values, and providing spiritual care and nurture to military members and their families. The Chaplain functions both as a specialist staff officer and as a religious leader. The Chaplain advises the commander and other staff on matters of spirituality, ethics, morale and religious accommodation. As a staff officer, the Chaplain functions as a specialist advisor and has direct access to the commander. The Chaplain is responsible to the commander for planning and implementing religious support programs and ministry activities within the commander’s area of responsibility. 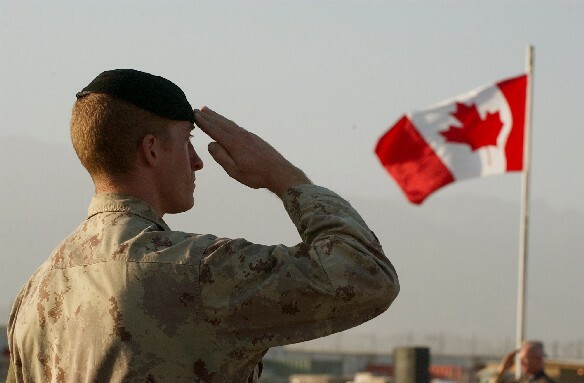 Canadian Forces Chaplains perform religious rites and ceremonies, such as The Divine Liturgy and other services for Orthodox service members, and administers sacraments and ordinances in accordance with the traditions of their own faith tradition. In so far as it is possible, the Chaplain offers appropriate spiritual support and care to all soldiers and their families, regardless of their religious faith expression. If a chaplain is unable to personally provide specific religious support, the chaplain will seek to have such support provided by another chaplain, or where possible, by appropriate civilian religious leaders. St. Nectarios was born on 1 October 1846 in Selymbria in Thrace to a poor family. His parents, Dimos and Maria Kephalas, were pious Christians but not wealthy. His given name was Anastasios Kephalas. At the age of 14, he moved to Constantinople (Istanbul) to work and further his education. In 1866, at age 20, he moved to the island of Chios to take a teaching post. On November 7, 1876, he became a monk, at age 30, in the Monastery of Nea Moni, for he had long wished to embrace the ascetic life. Three years after becoming a monk he was ordained a Deacon, taking the name Nectarios. He graduated from the University of Athens in 1885. During his years as a student of the University of Athens he wrote many books, pamphlets, and Bible commentaries. Following his graduation he went to Alexandria, Egypt, where he was ordained a Priest and served the Church of Saint Nicholas in Cairo with great distinction. In recognition of his piety and brilliance as a preacher, as well as his administrative ability, he was consecrated Metropolitan bishop of Pentapolis (an ancient diocese in Cyrenaica, in what is now Libya) by the Greek Orthodox Patriarch Sophronios in 1889. He served as a Bishop in Cairo for one year, and was removed from his post by clerics who disliked his popularity with the people. Lies were made up against him by the jealous clergy. Patriarch Sophronios refused to listen to St. Nectarios. He was sent away from Egypt without trial or explanation, and was never given an opportunity to defend himself. After his dismissal, he returned to Greece in 1891, and spent several years as a preacher (1891-1894). He was then appointed director of the Rizarios Ecclesiastical School for the education of priests in Athens, where his service was exemplary for fifteen years. He developed many courses of study, and wrote numerous books, all while preaching widely throughout Athens. In 1904 at the request of several nuns, he established a monastery for them on the island of Aegina. The Monastery was named Holy Trinity Monastery. Nectarios ordained two women as deaconesses in 1911. Up to the 1950s, a few Greek Orthodox nuns also became monastic deaconesses. In 1986, Christodoulous, then the metropolitan of Demetrias, later to become archbishop of Athens and all of Greece, ordained a woman deacon in accordance with the “ritual of St. Nektarios” (the ancient Byzantine text St. Nektarios had used). In December 1908, at the age of 62, St. Nectarios resigned from his post as school director and withdrew to the Holy Trinity Convent on Aegina, where he lived out the rest of his life as a Monk. He wrote, published, preached, and heard confessions from those who came from near and far to seek out his spiritual guidance. While at the monastery, he also tended the gardens, carried stones, and helped with the construction of the monastery buildings that were built with his own funds. Saint Michael the Soldier of Bulgaria, was among the first of the Bulgarians to become Christian, and lived in the city of Potuka during the reign of the Byzantine Emperor Michael III (855-867). While still an infant, he was known as a “saintly child.” From his youth he led a blameless life, possessed the fear of God, fasted, generously distributed alms to the poor, visited the sick, and was meek and humble. At twenty-four years of age St Michael was made commander of a troop of soldiers. At that time, the Turks were warring against Christians, and St Michael inspired his troops by his bravery in battle. When the allies of the Bulgarians, the Greeks, fled from the field of battle, he fell to the ground and prayed with tears for the deliverance of the Christians. Then he led his own soldiers against the enemy. Rushing into the center of the enemy formation, he put them into disarray, and remained unharmed himself. Returning homeward after a battle, he rescued the inhabitants of a certain city in the Raipha wilderness from a huge beast which emerged from a lake and attacked children. People came to see this brave soldier when they heard that he had slain the beast they once worshiped as a god. He preached the Gospel to them, and turned them from demon worship and human sacrifice. Soon after he returned home, St Michael surrendered his soul to the Lord, Whom he had loved since his youth. He wrought many miracles after death, healing those who came to him with faith. The transfer of the relics of the saint from Potuka to Trnovo occurred in the year 1206, and at the beginning of the nineteenth century, they were transferred to Wallachia. 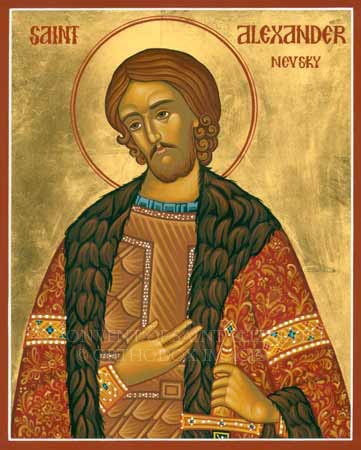 The Holy Prince Alexander Nevsky was born on May 30, 1220 in the city of Pereslavl-Zalessk. His father Yaroslav II, Theodore in Baptism (+1246), “a gentle, kindly and genial prince”, was the younger son of Vsevolod III Large Nest (+ 1212), brother of the Holy Prince Yuri Vsevolodovich (February 4). 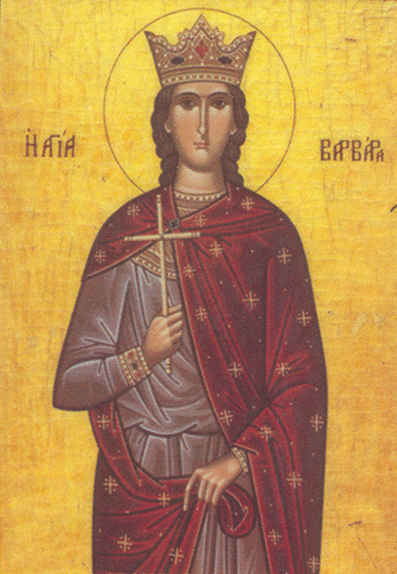 St Alexander’s mother, Theodosia Igorevna, a Ryazan princess, was Yaroslav’s third wife. Their older son was the Holy Prince Theodore (June 5), who departed to the Lord at age fifteen. St Alexander was their second son. His childhood was spent at Pereslavl-Zalessk, where his father was prince. The princely tonsure of the lad Alexander (a ceremony of initiation to be soldier) was done in the Savior Transfiguration Cathedral of Pereslavl by St Simon, Bishop of Suzdal (May 10), one of the compilers of the Kiev Caves Paterikon (Lives of the Fathers). From this Elder-hierarch, St Alexander received his first blessing for military service in the name of God, to defend the Russian Church and the Russian Land. In 1227 Prince Yaroslav, at the request of the people of Novgorod, was sent by his brother Yuri, the Great Prince of Vladimir, to rule as prince in Novgorod the Great. He took with him his sons, Sts Theodore and Alexander. Dissatisfied with the Vladimir princes, the people of Novgorod soon invited St Michael of Chernigov (September 20), and in February 1229 Yaroslav with his sons departed to Pereslavl. The matter ended peacefully: in 1230 Yaroslav with his sons returned to Novgorod, and St Michael’s daughter Theodosia was betrothed to St Theodore, the elder brother of St Alexander. After the death of the bridegroom in 1233 the young princess went to a monastery and became famous in monastic exploits as the nun St Euphrosyne of Suzdal (September 25). From his early years St Alexander went along on his father’s campaigns. In 1235 he participated in a battle at the River Emajogi (in present-day Estonia), where the forces of Yaroslav totally routed the Germans. In the following year Yaroslav went to Kiev, “settling” his son, St Alexander, to rule independently as prince at Novgorod. In 1239 St Alexander entered into marriage, taking as wife the daughter of the Polotsian prince Briacheslav. Some histories relate that the day the princess was baptized was the Name Day of her saintly spouse, and she was named Alexandra. His father, Yaroslav, blessed them at betrothal with the holy wonderworking icon of the Theodore Mother of God (the father was named Theodore in Baptism). Afterwards, St Alexander constantly prayed before this icon. Later, it was taken from the Gorodetsk Monastery, where he died, by his brother Basil of Kostroma (+1276), and transferred to Kostroma. St Alexander, then not yet twenty years old, prayed a long time in the church of St Sophia, the Wisdom of God. He recited the Psalm of David, saying: “Judge, O Lord, those who injure me, fight against those who fight against me. Take hold of shield and buckler, and rise up to help me” (Ps. 34/35). Archbishop Spyridon blessed the holy prince and his army for the battle. Leaving the church, St Alexander exhorted his troops with words of faith: “The power of God is not in numbers, but in truth.” With a smaller force, trusting in the Holy Trinity, the prince hastened towards the enemy to await help from his father, not knowing whether the enemy would attack, nor when. But there was a miraculous omen: at dawn on July 15 the warrior Pelgui, in Baptism Philip, saw a boat, and on it were the Holy Martyrs Boris and Gleb, in royal purple attire. Boris said: “Brother Gleb, let us help our kinsman Alexander.” When Pelgui reported the vision to the prince, St Alexander commanded that no one should speak about the miracle. Emboldened by this, he urged the army to fight valiantly against the Swedes. “There was a great slaughter of the Latins, and a countless multitude was killed, and their leader was left with a mark upon his face from a sharp spear.” An angel of God invisibly helped the Orthodox army: when morning came, on the opposite bank of the River Izhora, where the army of St Alexander was unable to proceed, was a multitude of the slain enemy. Because of this victory at the River Neva on July 15, 1240, the nation called the saint Alexander Nevsky. By his prayer, by the help of God, and by military might the Crusaders were completely destroyed. There was a terrible slaughter, and there was such a crashing of striking spears and swords that it seemed as though the frozen lake were in motion and not solid ice, since it was covered with blood. When they turned to flee, the enemy was pursued and slashed by Alexander’s army “as if they sped through the air, and there was nowhere for the enemy to flee.” Later, they led a multitude of captives behind the holy prince, marching in disgrace. The Lord crowned the holy mission of the defenders of the Russian land with success, but this required years of hardship and sacrifice. Prince Yaroslav passed from this life. Having made an alliance with Khan Batu, he was required, however, to travel to faraway Mongolia, to the capital of all the nomadic empire. The situation of Batu himself being precarious, he sought the support of the Russian princes, wishing to break with his own Golden Horde from faraway Mongolia. And there in turn, they trusted neither Batu nor the Russians. Prince Yaroslav was poisoned. 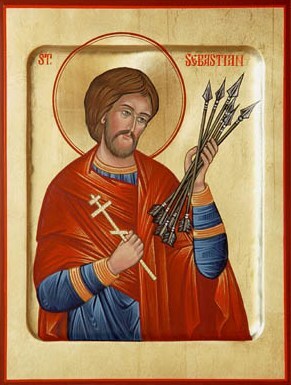 He died in agony, surviving the Holy Martyr Michael of Chernigov, whose relative he nearly became, by only ten days. Since his father bequeathed him an alliance with the Golden Horde, it was necessary for St Alexander Nevsky to hold fast to it in order to avert a new devastation of Russia. Sartak, the son of Batu, had accepted Christianity, and was in charge of Russian affairs with the Horde. He became his friend, and like a brother to him. Vowing his support, St Alexander allowed Batu to launch a campaign against Mongolia, to become the chief power in all the Great Steppes, and to raise up the Tatar Christian leader, Khan Munke (most of his Tatar Christians were Nestorians) on the throne in Mongolia. Not all the Russian princes possessed the wisdom of St Alexander Nevsky. Many hoped for European help in the struggle against the Mongol Yoke. St Michael of Chernigov, Prince Daniel of Galich, and Andrew, St Alexander’s brother, conducted negotiations with the Roman Pope. But St Alexander well knew the fate of Constantinople, seized and devastated by Crusaders in the year 1204. His own personal experience taught him not to trust the West. The alliance of Daniel of Galich with the Pope, giving him nothing in return, was a betrayal of Orthodoxy, a unia with Rome. St Alexander did not want this to happen to his Church. When ambassadors of the Roman Pope appeared in 1248 to seduce him also, he wrote in answer that the Russians were faithful to the Church of Christ and to the belief of the Seven Ecumenical Councils: “These we know very well, but we do not accept your teaching.” Catholicism was unsuitable for the Russian Church, and a unia signified a rejection of Orthodoxy, a rejection of the source of spiritual life, a rejection of the historical future foreordained by God, and the dooming of itself to spiritual death. In the year 1252 many Russian cities rose up against the Tatar Yoke, supporting Andrew Yaroslavich. The situation was very risky. Again there arose a threat to the very existence of Russia. St Alexander had to journey to the Horde once more, in order to prevent a punitive Tatar incursion on the Russian lands. Defeated, Andrew fled to the Swedes seeking the help of those very robbers whom his great brother had crushed with the help of God at the Neva. St Alexander became the ruling Great Prince of All Rus: Vladimir, Kiev and Novgorod. A great responsibility before God and history lay upon his shoulders. In 1253, he repelled a new German incursion against Pskov; in 1254 he made a treaty with Norway concerning peacetime borders; in 1256 he went on a campaign to the Finnish land. The chronicler called it “the dark campaign,” because the Russian army went along through the polar night, “going to impassable places, unable to see neither day nor night”. Into the darkness of paganism St Alexander brought the light of Gospel preaching and Orthodox culture. All the coastal region was enlightened and opened up by the Russians. In 1256 Khan Batu died, and soon his son Sartak was poisoned, the one who was like a brother to Alexander Nevsky. The holy prince journeyed a third time to Sarai in order to confirm peaceful relations of Rus and the Horde with the new Khan, Berke. Although the successor to Batu had accepted Islam, he needed the alliance with Orthodox Rus. In 1261, by the diligent efforts of St Alexander and Metropolitan Cyril, a diocese of the Russian Orthodox Church was established at Sarai, the capital of the Golden Horde. There followed an epoch of great Christianization of the pagan East, and St Alexander Nevsky prophetically speculated about the historical vocation of Rus. The holy prince used every possibility to uplift his native land and the ease its allotted cross. In 1262 by his decree in many of the cities the Tatar collectors of tribute and the conscription of soldiers were stopped. They waited for a Tatar reprisal. But the great intercessor of the nation again journeyed to the Horde and he wisely directed the event into quite another channel. Having been dismissed for the uprising of the Russians, Khan Berke ceased to send tribute to Mongolia and proclaimed the Golden Horde an independent entity, making it a veritable shield for Russia from the East. In this great uniting of the Russian and Tatar lands and peoples the future multi-national Russian State was matured and strengthened. Later, within the bounds of the Russian Church, was encompassed nearly the entire legacy of Ghenghis Khan to the coasts of the Pacific Ocean. This diplomatic journey of St Alexander Nevsky to Sarai was his fourth and last. The future of Rus was rescued, his duty before God was fulfilled. But his power was wholly devoted, and his life put to the service of the Russian Church. On the return journey from the Horde St Alexander fell deathly ill. Unable to reach Vladimir, in a monastery at Gorodets the prince-ascetic gave up his spirit to the Lord on November 14, 1263, completing his difficult earthly path by receiving the monastic schema with the name of Alexis. Metropoltan Cyril, the spiritual Father and companion of the holy prince, said in the funeral eulogy: “Know, my child, that already the sun has set for the land of Suzdal. There will be no greater prince in the Russian land.” They took his holy body to Vladimir, the journey lasted nine days, and the body remained undecayed. Thus did God glorify the saintly Soldier-Prince Alexander Nevsky. The universal Church glorification of St Alexander Nevsky took place under Metropolitan Macarius at the Moscow Cathedral in 1547. The Canon to the saint was compiled at that time by the monk Michael of Vladimir. 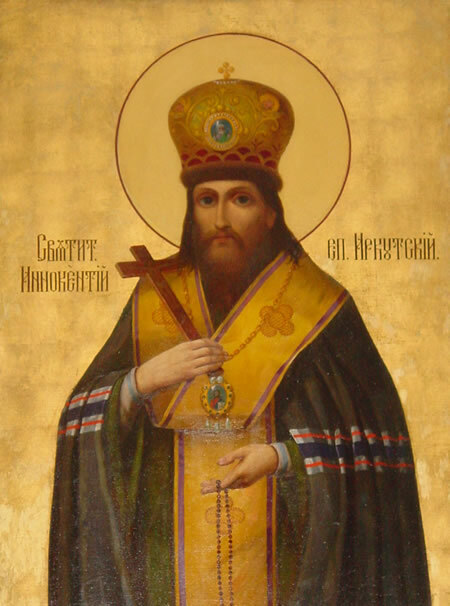 Saint Innocent, Bishop of Irkutsk, (in the world John) was descended from the noble Kulchitsky family. His parents moved from Volhynia to the Chernigov region in the mid-seventeenth century. The saint was born in about the year 1680, and educated at the Kiev Spiritual Academy. He accepted monastic tonsure in 1710 and was appointed an instructor at the Moscow Slavonic-Greek-Latin Academy as prefect and professor of theology. In 1719 St Innocent transferred to the St Peterburg Alexander Nevsky Lavra, and was appointed chief naval chaplain. In 1720 he served as vice-regent of the Alexander Nevsky Lavra. On February 14, 1721, hieromonk Innocent was consecrated as Bishop of Pereyaslavl and appointed to the Peking Spiritual Mission in China. But the Chinese government refused to allow him to enter the country, because the Senate Commission on External Affairs had indiscretely characterized him as “a spiritual personage, a great lord.” The saint was compelled to spend three years at Selingin on the Chinese border, suffering much deprivation because of the uncertainty of his position, and grief from the disarray of the civil government in Siberia. Diplomatic blunders of the Russian Mission in China by Graf Raguzinsky, and intrigues by the Irkutsk archimandrite Anthony Platkovsky led to the appointment of Archimandrite Anthony in China. By decree of the Most Holy Synod St Innocent was named in 1727 to be Bishop of Irkutsk and Nerchinsk. And so he entered into the governance of the newly-formed dioceses. The proximity of the Chinese border, the expanse and sparsely-settled dioceses, the great number of diverse nationalities (Buryat, Mongol, and others), mostly unenlightened by the Christian Faith, the lack of roads and the poverty – all this made St Innocent’s pastoral work burdensome and his life full of deprivations. Through a strange oversight of the Senate, he did not receive any money until the time of his death, and he endured extreme want. In these difficult condition of scant funds the Irkutsk Ascension monastery still maintained two schools opened under him, one Mongol and the other Russian. The constant concern of the saint was directed towards the schools: the selection of worthy teachers, and providing the necessary books, clothing and other provisions for students. The saint toiled tirelessly at organizing the diocese, and strengthening its spiritual life. His many sermons, pastoral letters and directives bear witness to this. In his work and deprivations St Innocent found spiritual strength, humility, and insight. In the spring of 1728, the Baikal region began to suffer a drought. Famine from a poor grain harvest had threatened the diocese already back in 1727. With the blessing of the holy hierarch, in May within the churches of Irkutsk and the Irkutsk region they began to include a Molieben for an end to the drought at each Liturgy. On Saturdays they sang an Akathist to the Mother of God, and on Sundays they served a Molieben. “The supplications,” said the saint, “should end on the Feast of St Elias” (July 20). Indeed, on that very day a storm raged at Irkutsk with such strong rains, that in the streets of the city water stood up to people’s knees, and thus the drought ended. Through the efforts of St Innocent, construction was started on a stone church to replace the wooden one at the Ascension monastery, and the boundaries of the diocese were expanded to include not only Selingin, but also the Yakutsk and Ilimsk surroundings. The saint, not noted for robust health, and under the influence of the severe climate and his afflictions, departed to the Lord at a rather young age (51). He reposed on the morning of November 27, 1731. In the year 1764, the body of the saint was discovered incorrupt during restoration work on the monastery’s Tikhvin church. Many miracles occurred not only at Irkutsk, but also in remote places of Siberia, for those who flocked to the saint with prayer. This moved the Most Holy Synod to uncover the relics and to glorify the saint in the year 1800. In the year 1804, a feastday was established to celebrate his memory throughout all Russia on November 26, since the Sign Icon of the Mother of God is commemorated on the actual day of his repose (November 27). St Innocent is also remembered on February 9. In 1921, the relics of St Innocent were taken from their shrine and placed in a Soviet anti-religious museum. They were moved to another museum in Yaroslav in 1939, and were exhibited as “mummified remains of an unknown man.” In 1990, they were brought to the newly-reopened Tolga Monastery in the Yaroslav diocese. In September of 1990, the holy relics arrived in Irkutsk and were placed in the cathedral, to the joy of all the faithful.